If you are looking for a unique but simple (and cheap!) 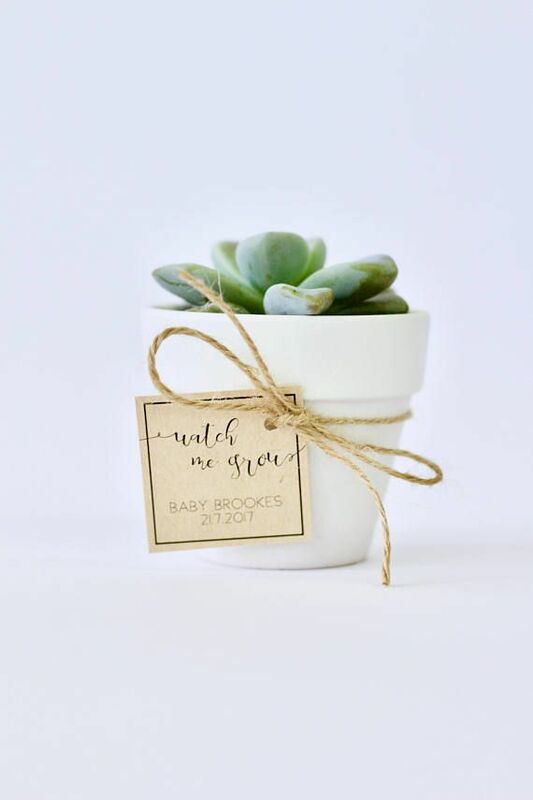 DIY Baby Shower Favor for your guests, then look no further! This printable Watch me Grow Tag is customised with your details, and sent to you in high resolution JPG and PDF files for you to print. Choose kraft paper, white/cream paper, or really any coloured card that suits your Baby Shower theme! Then simply attach to your potted plant with twine or paper strands and you are done!